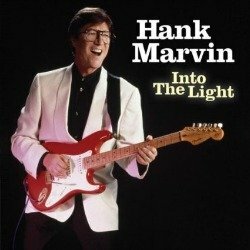 Featuring George Harrison Rockabilly Style! 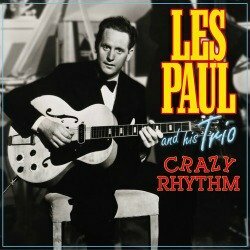 Your True Love Rockabilly Lyrics was written by Carl Perkins in 1957. 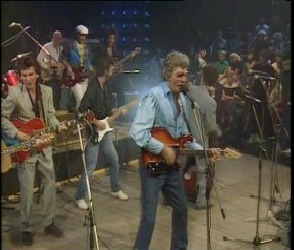 Nearly 30 years later Carl is singing with his rockabilly buddies George Harrison and Dave Edmunds in a live performance in 1985. George Harrison was my favorite Beatle...He is also on my list of my favorite guitar players. These videos should tell you why great music is alive and well in pure Rockabilly style. This is a great side of George Harrison without the Beatles. It's pretty obvious these guys are having a ball. Don't think anyone is thinking about a paycheck or record sales while they were making this special. Just doing what they love with great rockabilly friends. You think they might have felt 20 years younger that night? 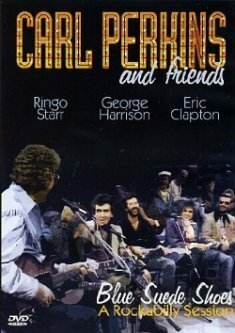 If you're a fan of Carl Perkins and if you hold these two "Beatles" George and Ringo close to your heart, then you will love this show and the videos on the Carl Perkins and Rockabilly pages that will show Ringo at his very best.